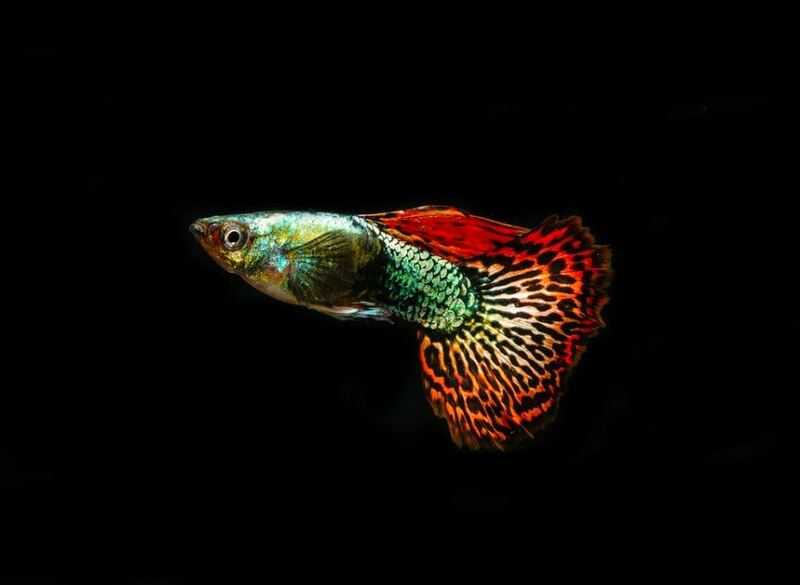 Guppies are a good type of fish to keep as pets as they come in a range of colors, each giving more life to your aquarium and making it look more appealing. Below are a few pointers you should keep note if so as to have the healthiest guppy fish. •	These fish tend to thrive better in a higher pH of about 7-8 so put this into consideration when filling the water. The best choice of water would be hard water with a range of minerals like calcium and magnesium. •	The water should also be maintained at warm temperatures of about 76 to 80 degrees Fahrenheit. Make sure you have an adequate water heater to maintain this temperature during the cold seasons. You should also ensure you constantly change the water so as to reduce the toxicity. When changing the water, do not stress the fish by removing too much water. Only cycle out a substantial amount. This also helps in adding new nutrients to the water which is highly beneficial for your fish. •	Guppy fish are livebearers meaning they give birth to live babies. You should consider this factor when choosing the tank to put the fish in as they tend to produce a lot. Give away any excess fish to your friends and family so that you can be able to maintain the few that remain. You can also opt to buy more tanks for your fish, that is, If you have money. •	You should maintain a proper feeding diet that enables your fish to grow and be healthy. Healthy fish are always the best as they bring more life to the fish tank making it a pleasant view. Guppy fish can be fed a variety of food including; flake foods, frozen marine foods, and even pellets. As you feed your fish, make sure you do not overfeed them as the excess food may increase the toxicity in the water. •	Guppy fish are fun and peaceful and hence can flourish well with other fish species. Aggressive fish like red-tailed sharks, on the other hand, should not be placed anywhere near your guppy fish, as they might fight to the death. •	The male guppy fish tend to have more color than the female ones. It is, however, advisable to keep more females than males so that there will not be too much reproduction that will overcrowd your fish tank.